Knowing about these reasons for rubrics, I sat down last fall to create few rubrics for the assignments in an undergraduate class I was about to teach. I started with the “Good” or “Excellent” column, as this is where I recommend starting. That was pretty easy as it simply explains the criteria for the assignment. The next thing I needed to do was to fill in the lower columns (e.g., minimal pass, satisfactory) and ran into difficulties. I found myself guessing at what it is that students may or may not do to deviate from the criteria. This was especially difficult since I like to be as descriptive and objective as possible with the criteria I put in the cells, trying to avoid vague terms, such as “acceptable” and “good”. Filling in these cells was really challenging and would have potentially put me in a bind when grading if my guesses turned out to be wrong. I have been in that situation before and it is not a good feeling to look at your rubric descriptors and to look at a student’s assignment and realize that you have trapped yourself into either giving too high or too low of a grade based on those start-of-term guesses. These guesses are even more difficult if it is a new-to-you course or a new assignment. Due to these challenges, I ended up with more of a checklist and comment box than a fully filled-in rubric. This past summer, a blog post by Jennifer Gonzalez came across my email that explained the concept of a “Single-Point Rubric”. I think the Single-Point Rubric is the answer to my struggles. It is essentially the “Good” or “Excellent” column that explains the criteria for the assignment and a column on each side surrounds it. These columns are labelled “Concerns: Areas that Need Work” and “Advanced: Evidence of Exceeding Standards”. This serves many of the same purposes as a rubric full of filled-in cells plus it provides a great and clear means of providing positive and negative feedback on each of the criterion. I still see advantages to having a fully filled-in rubric, but for new-to-you assignments and courses, where you really are guessing at student performance, I think the “Single-Point Rubric” is a great first step in providing clear criteria. I would highly recommend reading Jennifer’s post and seeing if it will meet your needs, as well. This fall I taught my first for-credit university course. I have plenty of previous teaching experience in the K-12 system and non-credit workshops/courses offered through the GMCTE, but this was the first-time teaching paying university students. 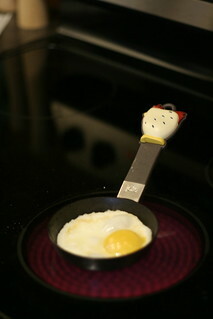 I was feeling some apprehension and added pressure. Pre-Course Survey: I began with a pre-course survey the last week of August. I accessed my course list through Blackboard Learn and sent the students a link to a survey. I used this survey to learn more about my students and learn what relevant skills they were bringing into the course with them. I was able to use this information to inform my lesson and activity planning. Stop-Start-Continue: Three weeks into the term, I asked students to provide anonymous feedback on what things I should start doing, what I should stop doing, and what I should continue doing in my teaching. The majority of the feedback was positive, but even that was very helpful in letting me know that I was on track. Muddiest Point: After the fourth week, I created an anonymous online survey and asked my students to identify what concepts and ideas in our recent classes were still unclear to them. This helped me supplement and enrich the materials I had provided them in order to attempt to get all of us up to the same level of understanding. I also planned a brief class discussion to address these concerns. Clickers: Also in our fourth week, I lead an activity where students were applying their learning of a certain concept to answer clicker questions in class. I did this using a free online system called Kahoot!, in which the students were able to respond using computers or mobile devices. The vast majority of students answered the questions correctly indicating to me that we had achieved that learning objective and students were ready to apply this to a summative assignment. Post-term Survey: As the term wrapped up, I began thinking about what changes I would make to this course the next time I teach it (which is in January). Apart from the college-issued survey, I created my own anonymous online survey that solicited feedback on the course in general and specific feedback on the assignments that the students completed throughout the term. I emailed this survey to my students and they have offered insightful comments that I am using in planning the next iteration. I also encouraged them to meet with me to provide oral feedback if they so wish. Although, I was initially apprehensive about teaching this course, I found that within the first few weeks I was quite comfortable. The students and I had developed a good rapport and I was soliciting so much feedback that nothing was really able to fall between the cracks. A well-planned formative assessment plan can really set a course up for success! “Lecture Capture describes technologies instructors can use to record voice and data projector content and make those recordings available digitally” (ICT University of Saskatchewan). At the University of Saskatchewan, many rooms are equipped to allow instructors to easily record their live lectures and distribute these recordings to their students. pay closer attention in class rather than frantically scribbling notes (May, 2008). support for DSS and ESL students who struggle with the speed of the lecture. support for sick and injured students who cannot attend class. ability to view your classes as a way to critically reflect on your teaching. ability to share your videos with other instructors who teach the same course or complementary courses. ability to share the videos with your teaching assistant(s) to help them prepare for grading, tutorials, or labs. With all these benefits in mind and the major concern set aside, what reasons remain to not try lecture capture? The system is in place—give it a try! We’ve talked about flipped classrooms in this space before. In a nutshell, flipped classrooms involve taking the regular lecture style content out of the classroom and assigning it as homework prior to coming to class. The majority of the time, this involves having the students watch videos, often created by the instructor, to prepare for class. The Chemistry course I explored has videos, text, multiple-choice quizzes, and a virtual lab. The French language course I explored was based on listening to a series of audio excerpts and answering questions related to them. As you can imagine, these online courses have the potential to deliver a wealth of content before students set foot inside your classroom. Instead of just setting students free on these online courses, you as the instructor can set up your own versions of these courses and choose which materials students will see and complete. If you take this step, you will also get to see your students’ results on the assessment pieces. “This [assessment] information helps instructors to tailor their classroom lectures and activities to the topics with which students are struggling. Use our Learning Dashboard tool to see student progress on a class-level, by student, and even by individual activity in the course” (Learning How OLI Helps Educators). That is where the flipped classroom fits in. By freeing up your in class time from delivering this factual, lecture-style content, you can walk into your classroom with this rich information about your students in your hands prepared to engage in active learning to explore the topics that they are struggling with. You can become an adaptive and responsive teacher, which is a truly a wonderful thing! One thing you may be thinking as you are reading this post is that you already have access to these sorts of resources and tools through your textbook publisher. That may be the case, but some benefits of using OLI is that it is free and will be available to you and your students if you change to a different textbook or if you adopt an open textbook. The resources are also being developed in conjunction with some of the best learning scientists in North America—the addition of hints and real-time feedback to students is thorough and impressive. Feel free to explore these possibilities on your own or contact us at the GMCTE—we would love to work with you on implementing this in your course. Also, if you have used OLI or similar resources in the past, please share your experiences with us in the comments below. You’ve Got Teaching Problems? This Site Has the Answers! When I was recently scouring the Internet for good teaching resources, I came across an exceptional site. 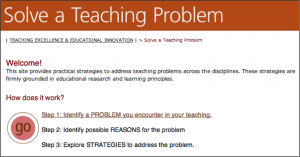 The Solving a Teaching Problem webpage from the Eberly Center: Teaching Excellence & Educational Innovation takes teachers through three steps to find practical solutions to teaching problems. 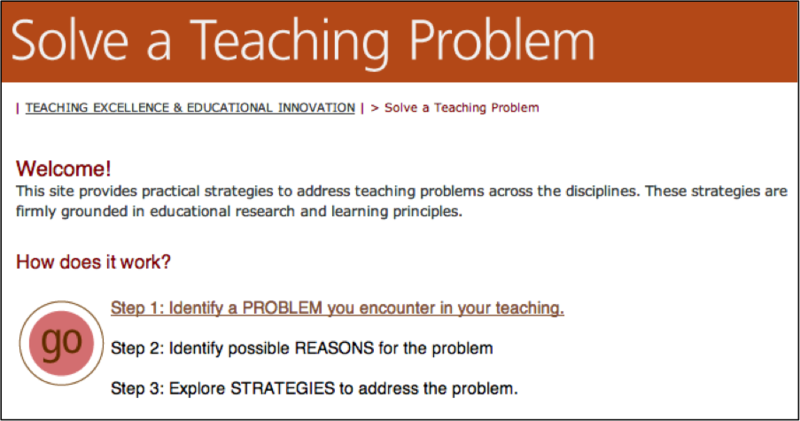 As I walk through the process, Step 1 asks me to identify a problem that I am experiencing in my teaching. For example, “Students don’t seek help when they need it”. These are just three of the nine suggested reasons. Even if I were to stop exploring the website here, I feel that this has been beneficial because it has forced me to think critically about why my students and I are experiencing this problem. To continue from this step, I must choose what I think the reason is. Along with this list, I am also given a few paragraphs of information describing these strategies. I am excited to explore this site further and to share it with others. It seems to be exceedingly simple to navigate to find answers to practical problems that teachers experience every day. The problems range from achievement to behaviour and everything in between. Give this site a try and please comment on your experience below. If you know of other similar sites, please share the link with us. What Do Automobile Engines and Educational Innovation Have in Common? Recently, someone recommended that I read “Design Research for Sustained Innovation” by Carl Bereiter. Although, the article was published in 2002, I found it to be very relevant today. The premise of the article is that, “innovative practices seldom win out against those with a long evolutionary history” (p. 321). This is not only true in education, but in all aspects of human life. He makes a thought-provoking comparison between innovation in education and innovation in the automobile engine. The automobile engine has drawbacks related to the reciprocating piston that were recognized early. Bereiter explains that the a “better engine” called the Wankel engine was invented in the 1920s, but was not produced until 1957 despite being a promising improvement of the standard engine. 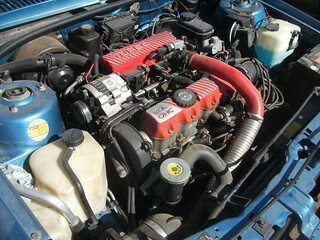 After unsuccessful initial attempts to make commercial versions of the Wankel engine, the development was essentially scrapped (Hege, 2002 as cited in Bereiter, 2002). The moral of the story here is that it is hard to take down a giant. This does not only apply to automobiles because I can think of countless new and amazing tech innovations that are invented each year that never make their way into our homes and lives. 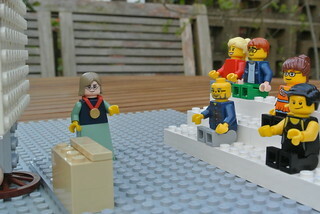 The giant in education is using a lecture followed by drill and practice. Countless attempts have been made to innovate in teaching and learning, but as with the Wankel engine, these attempts often do not go over well the first, second or even third time. This often leads to scrapping the idea. Bereiter argues that another reason that initially unsuccessful educational innovations are scrapped is because it is hard for society to see the improvements to society and life that could come out of these innovations (p.323). The outputs are not tangible (unlike the outputs of a new automobile engine or a new type of TV). This makes long-term innovation in education even more difficult to maintain. He argues for educational research to take on a more sustained model. Research needs to follow what is common in medical science, where findings are fed back into further cycles of innovative design. This seems obvious, but often fails to occur. This is what is now referred to as Design-Based Research and is beginning to emerge. He even argues against using early adopters in this research because, “they are the quickest to seize on an innovation, but they are also the quickest to abandon it in favor of the next new thing” (p. 327). Along with these thoughts there are many other great thought-provokers throughout this article, especially for those of us who work in educational innovation! Bereiter, C. (2002). Design Research for Sustained Innovation. Cognitive Studies, Bulletin of the Japanese Cognitive Science Society, 9(3), 321-327. So, now that we’re all on the same page, I am pleased to announce a new support from the Gwenna Moss Centre that we’re referring to as the “Over Easy” Flipped Experience. The first “Over Easy” experience will be offered on June 10 and 11 and will be limited to 5 participants. 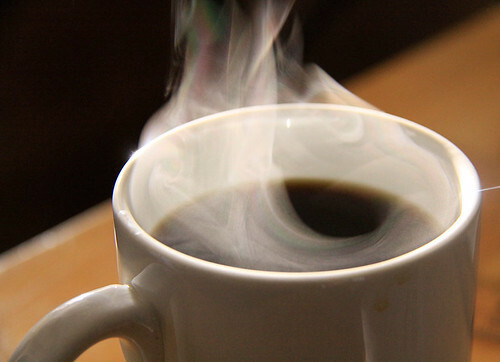 figure out how to make effective use of the freed up face-to-face class time. After the two days, you will have a plan to take forward and begin flipping your class. Instructional designers from the GMCTE will be available to provide on-going one-on-one support as needed. For more information, please visit the event page: http://www.usask.ca/gmcte/flip_overeasy. Applications are due on May 29. If you have attended a conference in the past year, then you probably at least heard about the conference’s “backchannel”. Essentially, a backchannel is a conversation that is taking place during an event, alongside the main activity or presentation. At conferences, this often takes place on Twitter by attendees using a hashtag for the event. For example, we have created a hashtag for our upcoming Teaching and Learning to the Power of Technology conference (TLt 2013) and will encourage those in attendance to discuss the presentations on Twitter by including “#tlt13” in their tweets. By using the hashtag, those in attendance can follow the discussion by searching #tlt13 on Twitter. Another popular tool for backchannels is TodaysMeet. If you’re interested in setting up a backchannel in your class(es), there are many options to consider. Feel free to contact us here at the GMCTE to discuss the possibilities. 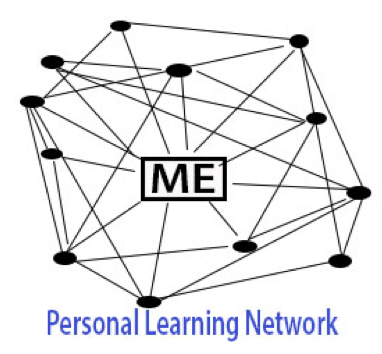 PLN (Personal Learning Network): What, Why, and How? Do you work in a specialized field? Do you work in a small department? Do you ever wish you had colleagues that you could share ideas with or someone to b­­­­ounce teaching ideas off of? The answers to these questions are expectedly “yes” for most faculty members. One way to address these questions is by creating a Personal Learning Network (PLN). A PLN is an informal group of people that you can learn from and along with. The difficulty with creating a PLN is the fact that you may not be able to find people with common interests, skills and subject-matter knowledge. This is where the Internet comes in. Virtual PLNs have become increasingly popular in education in the past few years. Teachers and faculty members who have been working in isolated areas have been taking to online environments, such as Twitter, and have been able to develop networks with a large number of people who have common teaching areas, research interests, and experiences. These networks can be invaluable for professional development and easing the feeling of isolation because, although you may be the only person in a certain role at this university, you are likely to not be alone in Canada, North America, or the world. To begin building your PLN, you could take to Google and begin searching for others in your field that have similar titles or jobs. You could then try to connect by using “old-fashioned email.” If you are up for it, a more modern way of building a PLN is to sign up for a social network site, like Twitter, and search for other users that have similar interests. If you haven’t ever spent any time on Twitter, you might be very surprised to see how many professionals are using it—they are connecting with one another and building communities. You may also be surprised to find out that users on social network sites are often very willing to welcome new people into their communities—this is the reason that they signed up too. Once your PLN starts to develop, you will be able to start sharing research interests, teaching strategies, lesson plans, personal stories, and more. It may even start to branch outside your discipline and you will begin to learn and share with professionals outside your field. Your PLN will provide excellent professional development and it will almost certainly lead to things that you never could have predicted.